Held in Launceston on 12 April 2019, the ANMF/HERC Aged Care Conference will be a fantastic day of learning for Nurses and Care Workers in Tasmania. 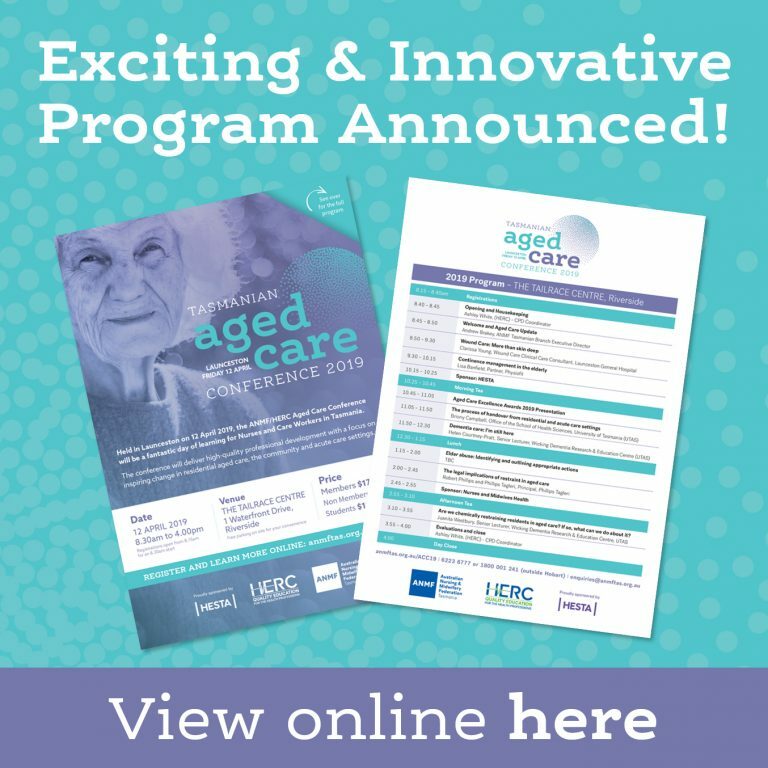 The conference will deliver high-quality professional development with a focus on inspiring change in residential aged care, the community and acute care settings. Are you looking to attend with a group of colleagues or wanting to sponsor your workplace? We have great group bookings available. Simply contact Heidi at ANMF/HERC on (03) 6223 6777 to make your booking. Registrations are now closed for this event. We look forward to seeing you on the 12th April! You must preregister to attend workshops; payment must be made at the time of registration. In the event ANMF/HERC cancels a workshop any fees paid will be refunded.